Tooting in South West London, is just one stop from up-market Balham and it is fast seeing the same gentrification of its Northern Line neighbour, which means you guessed it…the bargain boat has sailed. 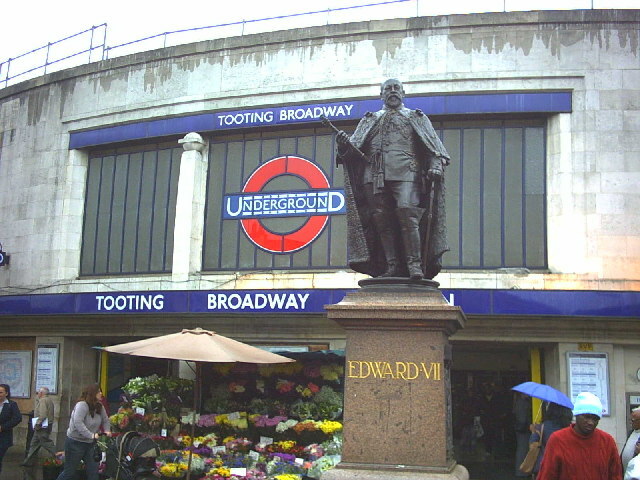 It has two tube stops; Tooting Broadway is the bustling multicultural area and Tooting Bec is quieter, more desirable and as expected more pricey. You have the feeling some of the less successful curry houses (of which there are many) might soon become trendy boutiques. Day after day more professionals buy here; I don’t own a crystal ball, but if I did (which I might one day) I would predict a huge growth in families moving here over the coming years. Not many celebs (yet) but after leaving school, comedian Paul Merton worked at the Tooting employment office for seven years. Bit tenuous I know. It’s on the tube (twice!) and the area is improving every day. Victorian and Edwardian terraces dominate much of the area and there are also attractive ex-council houses and new brownfield redevelopments. Tooting Lido is the largest swimming pool in the UK measuring 91 metres long and 30 metres wide, famed as much for its bright bathing huts as its (freezing) cold-water pool. It is in the Borough of Wandsworth, meaning the cheapest council tax in the capital and lots of green space on Tooting Bec common to enjoy. It’s already expensive, and occasionally gang related violence has broken out in the middle of the day, but that has significantly reduced as the area improves. Two tube stops; both on the Northern line 25 minutes to city and west end. Also there is a train station in the area. St Boniface RC, Hillbrook and St Anselm’s RC “outstanding”. Secondaries, Chestnut Grove, Graveney and Ernest Bevin (boys) are “outstanding”. The Tram and Social – a converted tram shed incorporates a cavernous, chandelier-lit main bar and a smaller mezzanine.The Castle pub has been recently renovated and the Antelope does a great Sunday lunch. If you want a curry, the choice is endless. A shop that only sells naan breads really excited a newly arrived resident I spoke with.